(UPDATED) Great news people! We’ve had an awesome response to the initial announce of Diesel’s ‘Pieces Of Americana’ tour that is serving as an introduction to his upcoming album by the same name to be released mid 2016. So much so, that further dates have been added to the initial run. 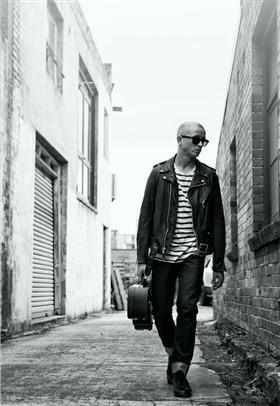 There’s a concept brewing over at Diesel HQ … an album on which Mark Lizotte, known far and wide as Diesel, will pause to look back on the path that led him to today: eight studio albums, six ARIA Awards, one of our nation’s most lauded and accomplished rock guitarists and singers. And appropriately, for an artist born in America and raised in Australia, the concept is: Americana. The music may be American, but Diesel will approach it the only way he knows how … “It’s very Australian what I’m doing,” he says. “That mongrel thing, taking music - whether it’s from England or America - then crossing things over. We’re not scared of mixing things up here and breaking the rules. Never have been.” The selection process has been torturous – “It’s really hard ’cos it’s such a deep well; how far back do you go? I literally went: OK, I’ve got five minutes, grab the most essential things out of your house before the house burns down!’” – yet also fearless. Witness Diesel’s thought process on daring to tackle Born to Run by The Boss, Bruce Springsteen: “It’s like someone saying, ‘I’m going to rewrite the bible’,” he laughs. “You just don’t touch it! But I thought, if I’m gonna make an Americana album, I may as well get in the ring with Muhammad Ali – the featherweight’s gonna take on the heavyweight and we’ll see what happens. So, if Born to Run is a stranger, I’m going to go right up to that stranger on the street and kiss ’em on the lips. That’s it.” So now, a quarter-century after he busted out of the garage and into the Australian psyche with Don’t Need Love and Soul Revival, it’s time for fans to hear the songs that made the man. With recording underway, Diesel will be taking his concept out on the road February/March 2016, infusing his Americana selections into his live set before releasing the album mid 2016.